The basics of teaching pronunciation is fairly easy. 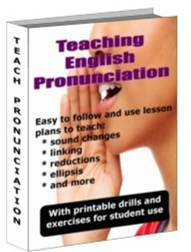 And Teaching English Pronunciation provides you with the information and materials on how to teach pronunciation. All you need is a large list of words, phrases, or sentences that contain specific target sounds and have the students complete various exercises or drills that focus on producing or listening for that sound. EASY! Teaching English Pronunciation gives you every thing you need to easily and systematically add the teaching of pronunciation to you list of teaching skills. 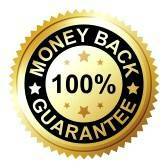 The workbook contains 28 work sheets (with25 multiple choice items per page). The book contains exercises and drills for all vowel and consonants sounds, for linking of sounds, for sound changes and reductions and much more. and Thailand. The material and exercises found in the book were used to successfully improve the pronunciation of hundreds of students during that time. The author also has a Masters Degree in Education and is TESOL certified.